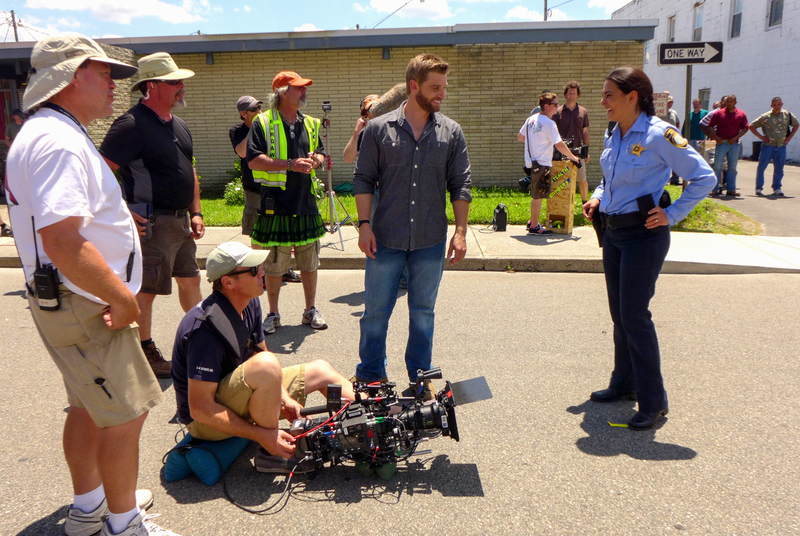 Behind the scenes of UNDER THE DOME with Mike Vogel and Natalie Martinez. When the town begins to run low on water, the residents of Chester’s Mill begin to fight for the remaining resources. Meanwhile, Julia discovers a strange connection that two of the town’s residents have with the Dome, on UNDER THE DOME. Photo: James Bridges/©2013 CBS Broadcasting Inc. All Rights Reserved.